At only $24.99 a month per user, and with no setup or hardware cost, RingCentral offers an introductory plan to fit the needs of just about any small business. With unlimited calling, 1,000 toll free minutes, unlimited conferencing, online faxing and even Business SMS, RingCentral manages to even exceed the features and functions supported by a basic Ooma Office plan. 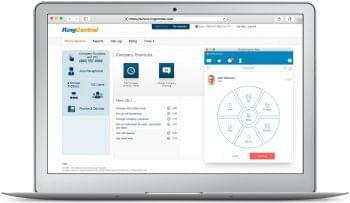 RingCentral even makes it possible to host multipoint mobile and desktop HD video conferences with up to 4 members, and every RingCentral plan includes access to Glip, the Unified Collaboration and productivity tool – a major key for businesses looking to take advantage of the powerful platform Glip provides. Wrap this package with a nice bow of U.S. based support and implementation, and even BOYD enabled with support for mobile phones, and RingCentral is a cost effective and feature packed solution. RingCentral Office also integrates with hundreds of other office place productivity apps. Nextiva’s Office Pro Plus rivals comes in at $22.95 a month per user, but also boasts no setup fees to help keep the initial cost down. Nextiva is of course renowned for their industry leading customer service, with 24/7 help on the phone, email or web based chat – all U.S. based as well. So if prime customer service is what you are after when searching for your VoIP solution, Nextiva should rank one on your list. Features included in the plan like professionally recorded greetings, a conference bridge for unlimited group and conference calls, and even a mobile app for fully function out of the office connectivity with team presence, a softphone and simultaneous ringing. Nextiva’s robust offerings will ensure your needs are met, their strong network will ensure nothing goes down, and their unmatched customer service will assist in any way they can if something ever does go wrong. Coming in at roughly $19.99 a month per user, 8×8 offers one of the more cost sensitive business plans with their Virtual Office. 8×8 Virtual Office allows for users to download their desktop, or mobile phone, clients to access any and all call information, like even text messages, voicemail, and your call history, paired with a soft phone to make calls directly from your computer (or mobile phone). 8×8 also offers their own unique Georouting capabilities, which prove very beneficial for any business with workers that travel or call internationally. Georouting will ensure that your calls are made on the internet closest to your current location – not just your office’s location. So if your office is in New York, but you travel to London, your call will come from the closest data center to London, instead of jumping from NY to London then the call destination. 8×8 also includes a robust list of features including call recording and even a proven end-to-end SLA for uptime and quality of voice. As the household name for VoIP, Vonage has been offering residential users a solid solution for their home. Recently, CEO Alan Masarek has made it clear that Vonage is shifting its focus away from residential VoIP, and is taking on the business market by storm. The same great service Vonage provides for your home can also be adopted for your business, Vonage Business starting as low as $19.99 a month per line. With customized plans tailored to your needs, no setup fee, and even free phones included in certain promotions, Vonage definitely helps keep the cost of switching as low as possible. With features like a virtual receptionist, a fully customizable online admin portal, conference calling, text messaging, voicemail to email, and cell phone integration, you’ll be better off than the Ooma Office. Add on premium features like call recording, a conference bridge, paperless faxing, and a virtual mailbox can make the system even more powerful while keeping the cost low. Jive’s fully mobile focused Jive Voice also costs around $19.99 per month per line, and brings with it the same features you’ve come to expect from an introductory VoIP plan such as call recording, voicemail to email, and a conference bridge. Jive Voice stands out a bit with its super easy to use, drag and drop, online admin portal so you can control every single aspect of your phone system, in real-time. The drag and drop nature makes it incredibly easy for anyone to understand, and take advantage of organizing your phone lines, or even a dial plan editor. With basic contact center functions like the dial plan editor to change how callers navigate through your phone directory, or even custom call schedules to setup your system differently for weekends, evening hours or holidays, Jive makes it easy for your small business to operate with the same level of professionalism as that massive Enterprise. Of course, being mobile focused, a mobile app with Jive Talk, chat, text and even video conferencing helps keep everyone connected. Originally founded way back in 1972, Mitel has stayed up to date with the adoption of VoIP, and still offers one of the most robust, and even cost effective, solutions today. At $20 a month per line, Mitel keeps the operating cost on the cheaper side. Although Mitel requires you to enter a contract of their own, they do offer a unique contract buyout for those switching providers. Unlimited calling, faxing, conferencing along with Mitel’s own mobile app, help match the Ooma Office offerings. Mitel even offers unique solutions for different use cases, such as the MiCloud Contact Center, a PC softphone and PC client, MiCloud Call Recording and MiCloud Vidyo Collaboration. Although it is worth noting, Mitel does not allow users to bring their own phones, and unfortunately does not provide phones with their service for free, so the initial cost might be higher than other alternatives – but should still rival the initial cost of the Ooma Office. 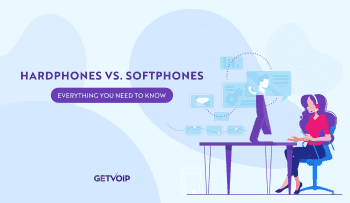 As one of the lesser known names on our list, Phone.com manages to hold their own in comparison to some of the bigger players. For only $19.99 a month, Phone.com provides the same great features that Ooma Office, and the well know alternatives, offer with the addition of voicemail to email, an auto attendant, and call routing schedules. This low cost also includes features other providers consider premium and hide behind an additional paywall, like fax to email, call recording, and HD conferencing. Unfortunately, the Plus Plan only includes 500 outbound minutes, but allows for unlimited users to help keep the cost down, and of course includes an integrated mobile app. Upgrading to the pro-plan will increase your minutes to 1,000 for businesses that make frequent outbound calls, but will cost you at least $29.99 a month. Still not a stretch from the others, and without having to purchase an Ooma Office you’re already ahead. However, the unlimited users allowed on any plan provided by Phone.com is what really makes them stand out as their own. BroadVoice sits nicely on our list as the service once again trumps Ooma Office again with a list of features like an auto-attendant to provide the appearance of a large company with a digital receptionist, call recording, audio conferencing, 3 way calling, both traditional and virtual fax, as well as an entire unified communications suite complete with a mobile app. BroadVoice makes it easy to support international calls to 75 different countries with a simple international add-on to your plan. For those keeping things domestic, all plans allow for unlimited local and long distance calling to the U.S., Canada and Puerto Rico. BroadVoice also introduces a few unique features like telemarketer and number blacklisting, and optional non-local phone number, and international virtual numbers. 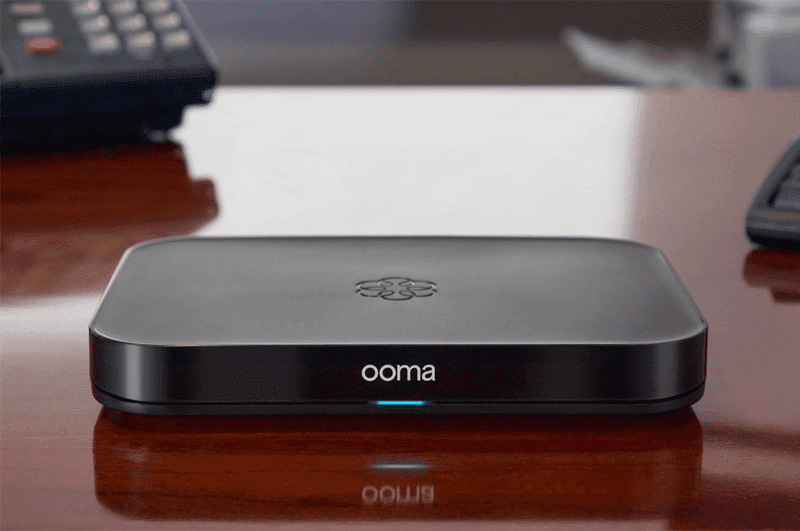 Their cloud PBX also requires no additional hardware, with no setup costs to help counter the Ooma Office initial purchase. Fonality takes the idea of ease of use and runs with it for their Business Phone System. With trouble-free administration made easy through their web past portal. Fonality offers a unique drag and drop call handling feature to put a call on hold or transfer to any extension or voicemail with the simple click of a voice to keep things extra simple, and even allows for voicemail management and transcription in either email, or even SMS messaging. Unified communications is made possible with a mobile app that supports personalized call routing with a find me/follow me function to never miss an incoming call, as well as built-in team presence and even instant messaging chat. Fonality also supports the BYOD of most offices, and allows users to connect any phone through any broad-band internet connection, so there aren’t any extra initial hardware costs of purchasing new phones. VirtualPBX’s most popular Dash Unlimited plan allows up to 99 users for unlimited inbound and outbound minutes, unlimited toll-free minutes, unlimited conference minutes and even unlimited outbound fax pages, as well as VoIP calls between users on your plan. VirtualPBX offers desk and conference phone rentals to help keep the cost down, so instead of purchasing all new phones you can simply rent them. The toss up here was mostly between the Dash Unlimited, or the Office plan. VirtualPBX’s Dash Unlimited plan comes with all the features you would expect, and even an extra feature – Call Blasting. However, call recording is only available on the Office plan, which also includes Advanced ACD Queues, as well as two local/toll free numbers included. The downside to the office plan, is a limit of 1,000 toll free minutes, 1,000 conference minutes, and 1,000 outbound fax pages. Both plans are $24.99 a month, so it will come down to which features you need more. With the option to either utilize a pay-as-you-go model (similar to the Amazon Connect pricing model), a per seat metered plan, or per seat unlimited plan, OnSIP offers a solution that can fit into any budget. With a 5 person minimum, the Per Seat Unlimited plan provides an extensive list of the usual and bonus call features like voicemail to email, auto attendants, ring groups, call parking, call recording, and a web based phone application. 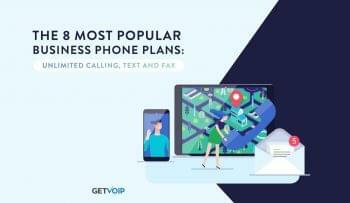 For $24.95 per person per month, your service includes unlimited inbound and outbound calling, while the metered plan for $8.95 a month per user includes a number of features with pay as you go for calling. The original pay-as-you-go plan will cost you a total of $0 a month initially, but requires a $49.95 feature minimum, with each featuring ranging from $2.00 to $19.95. OnSIP makes it really easy to pick and choose only the best features you need and pay based on the calls you make monthly for those very cost conscience buyers. Keep your existing number, adopt a new toll free or local number, add on as many extensions as you need, keep your old phones, and work from anywhere with the flexible, Entrepreneur focused Grasshopper. 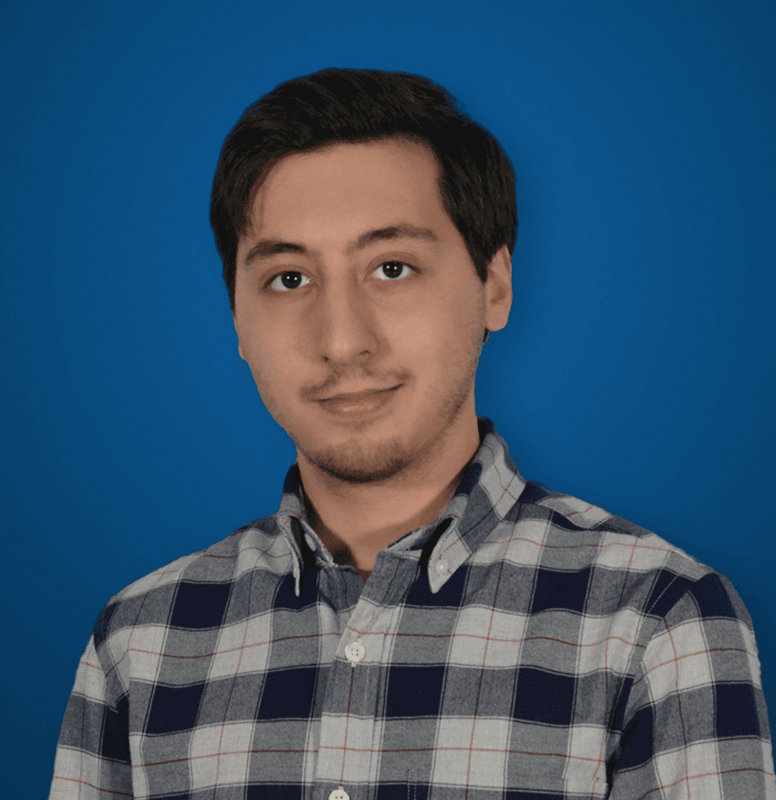 No new phones means no initial hardware cost, and the same usual round of features with no long term contracts helps Grasshopper stand out as a solid alternative to the Ooma Office. Grasshopper can support any business with toll free numbers, 800 numbers, vanity numbers and even 844 phone numbers so you can grab that new vanity number before anyone else does. Grasshopper even provides call screening so you can accept a call, send them to a voicemail, or hear their phone number to identify whoever is calling. Combine this with voicemail to email, online faxing and 24/7 support as well as the ability to record your own greetings. Fuze offers a single global network to empower their service, and likes to utilize this global network to provide the best service they can. With a localized calling experience, Fuze will provide your business with not only a local number, but even goes as far as to ensure the dial tone and call waiting ringtone are the proper sounds for your region. Fuze also does away with calling tiers, and local vs. long distance. Fuze’s Enterprise Cloud Voice plan offers a fixed-price calling for 17 countries outside the United States, Canada and Puerto Rico. Fuze’s network integrates not only their own applications like the Global Voice plan, conferencing and collaboration as well as contact center solutions, but also a wide list of third party applications like Gmail, Outlook, the usual Salesforce and Zendesk, but even Skype for Business and social media platforms like Google +, LinkedIn, Facebook and Twitter. For $19.99 a month per user, VoIPStudio’s National plan provides you with a 2000 minutes bundle for each user on your plan for outbound calls, 24/7 customer service, as well as an inclusive geographical number for each individual user. This is of course on top of 40+ calling features with call recording, CRM integration, an online web management portal, number porting and virtual numbers from over 4,000 cities. VoIPStudio does not require a contract or charge any termination fees, and even charges by a One Second Billing policy – charging you based on seconds, as opposed to rounding up to the nearest minute so you pay only exactly what you use, and not anymore. If your business acts as a call or contact center, VoIPStudio includes call barging for administrators to drop in on live calls to speak with both the agent and the caller. A $4.99 a month per user, pay-as-you-go plan is also available for those looking to keep their costs even lower. RingByName would be best utilized by a business requiring anywhere from 11 to 20 users, which brings the price to $29.95 a month per user. Plans for less users offer the same robust list of features, but will cost upwards of $35.95 a month per user. So with the sweet spot between 11 and 20 users, RingByName offers a unique solution that fully leverages the provider’s own CRM system, as well as unlimited calling and mobile apps, also worth to mention U.S. based customer service and technical support. With their own built-in CRM system, RingByName offers a 2 in 1 service for any business that needs to keep track of client calls and interactions without having to adopt or purchase an independent system. Audio conference room scheduling, quick note sharing for PC based sticky notes, E-Faxing and Team Activity Tracking are just a few more of the unique RingByName features included in all their plans.